In the last few years, we’ve seen a worrying trend. Municipal and local police departments across the country are becoming more and more militarized. We see this not only in the staggering amount of military vehicles, arms, etc. being given to police departments under the DoD’s 1033 program, but also in the tactics and more widespread use of Special Weapons and Tactics (SWAT) teams. Peter Kraska, a criminal justice professor at Eastern Kentucky University, has done research on this proliferation of SWAT teams. His findings state that 89% of police departments serving populations of 50,000 or more had SWAT teams in the late 1990s, twice as many as in the mid-1980s. Furthermore, 80% of smaller police agencies – those serving between 25 and 50,000 people – had SWAT teams by the mid 2000s, up from 20% in the mid-1980s. 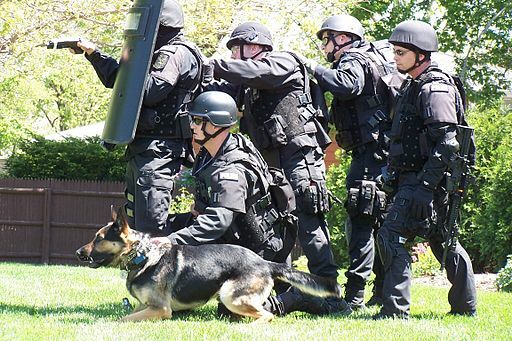 On June 24, the ACLU sued the North Eastern Massachusetts Law Enforcement Council (NEMLEC) for records regarding its SWAT team. The ACLU had earlier tried to get information regarding policies guiding the SWAT team’s use of deadly force, training materials, incident reports, deployment statistics and equipment contracts which, considering that the police are taxpayer funded, should be a matter of public record. NEMLEC, on the other hand, claims it’s a non-profit corporation, and hence is exempt from any public record laws. And indeed, NEMLEC, like some other LECs in Massachusetts, has incorporated as a 501(c)(3) organization. These LECs oversee police activities and training. Their employees carry guns, wear badges, collect paychecks provided by taxpayers and have the power to detain, arrest, injure and kill. Their SWAT teams carry out raids on private residences. Yet, because they’ve incorporated, they say they’re exempt to Massachusetts’ public records laws. If this type of thinking sounds familiar to you, it should. It bears a striking resemblance to the U.S. government and its use of Blackwater/Xe/Academi in the Iraq and Afghanistan conflicts, and more recently in the Ukraine. It’s a way for the LECs to avoid all liability, while providing a way to dodge any inquiries into what they’re actually doing. Occupy World Writes rejects the notion that 80%+ of all communities above 25,000 people need a SWAT team to enforce the law. We fail to see any reason for the militarization of local police departments, and call for the government to stop the 1033 program unless a state or municipality, with the approval of its citizens, can make a case for needing military armament or vehicles. This entry was posted in Civil Rights, Corporate Personhood, Government, National Security vs Police State, Privatization, Social Justice and tagged Police State, Security on June 30, 2014 by ew. 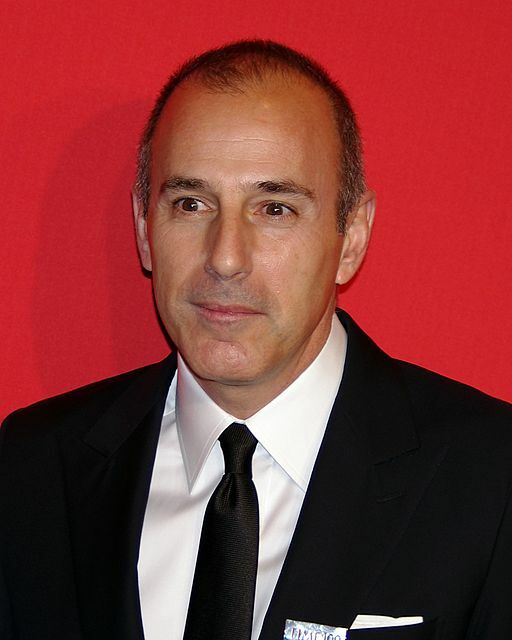 In a recent Today Show interview, Matt Lauer managed to strip himself of all remaining respect he may have been due in his interview with General Motors CEO Mary Barra. LAUER: You’re a mom, I mentioned, two kids. You said in an interview not long ago that your kids told you they’re going to hold you accountable for one job and that is being a mom. LAUER: Given the pressures of this job at General Motors, can you do both well? While my head spun trying to grasp that a major anchor of a top-rated news program would have enough disrespect not only for the person he was interviewing, but also for every professional woman out there who just so happens to also be a mother, what I was even more disappointed when Barra chose to answer politely. BARRA: What an excellent question, Matt. And since you are the father of three, and travel the world extensively on long trips away from home, I can assure you that not only can I do both well, in fact I’ve often wondered how men like you can do it, since research clearly shows that women multi-task much better than men. And Matt, you really need to understand that motherhood does not disable a woman’s brain function; in fact, it actually has the opposite effect. So how DOES that work in fatherhood, anyway? Lauer defended his question by saying it was fair, since Barra had previously mentioned her children. Yet nowhere can we find record of Lauer ever asking this type of question of any male CEO he has interviewed, even when the man would mention his children. What we have here, folks, is a double standard. And until women stop giving answers that men don’t intend to listen to anyway, and instead put the ball back in the court it came from, there will never be an end to any of the stupidity. This entry was posted in Human Spirit, Media Issues, Women's Issues and tagged Barra, Equality, Lauer, Motherhood, Respect, Women's Issues on June 29, 2014 by MNgranny. When it comes to adversity and turmoil, there is a people who have suffered for generations – decades of atrocities, genocides, persecutions, imprisonment, death – yet they remain the most hopeful, peaceful, resillient and patient people the planet may have ever seen. But before we talk more about the Kurds, let us pause a moment and consider the nation of Israel. Since World War II, the world has rejected the philosophy of ethnic genocide. When the Liberators arrived in Germany, they as well as the citizens living in nearby communities, were appalled to learn of the horrors and atrocities that had been carried out upon a race simply for the blood that flowed through their veins. Since that time, we as an international community, have built museums, continue to hold conferences and forums, and attempt in our feeble understanding of humanity to grasp what happened during this time. 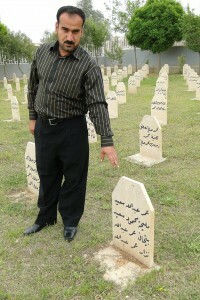 We decry governments who fail to stop these types of crimes against humanity from continuing. And we rally together as an international community to send aid or observers during times of crisis throughout the world. Most recently, these locations have included Syria, parts of Turkey, Iraq and Iran. What do all these countries have in common when it comes to atrocities and genocides? The main underlying theme is a continuous, insidious, deliberate and concealed attempt to wipe the earth of a majestic and beautiful people; the Kurds. In a recent article published in Middle East Forum, author Ofra Bengio discusses the “Surprising Ties between Israel and the Kurds” and explores what the world has resisted learning. Part of learning is recognition of truth; the United States has a clear track record of creating instability throughout the Middle East in their ulterior motive of controlling the world’s oil supply while claiming peace and democracy to be their objectives. Israel gained her independence in 1948, a mere six months after the United Nations General Assembly recommended the designation, and just eight hours before the expiration of the treaty which allowed the possibility to occur. So one must ask this question: If the state of Israel could be established following the holocaust and atrocities that were waged against the Jewish people, should not the Kurds also be given back the land taken from them and independence given to Kurdistan as well? Occupy World Writes believes the Kurds deserve the same human rights afforded all peoples in the countries in which they reside or have taken refuge in. We support Kurdistan’s President Barzani’s call for an independent Kurdistan. We call on all governments that can affect change to sit down and discuss how a peaceful path forward can be achieved, as this is what the function of government is intended to do. Double speak and broken promises are nothing to sustain a people with. This entry was posted in Civil Rights, Government, Human Spirit, International Agreements, Social Justice, Solidarity, War Crimes and tagged Atrocities, Democracy, Income Inequality, International Agreements, Iraq, Kurdistan, Syria, Turkey on June 28, 2014 by MNgranny. United Nations Human Rights Council logo. Last weekend, we ran a piece about the Detroit Water and Sewerage Department (DWSD)’s cutting of water and sewer services to thousands of households, and how a coalition of activists were appealing to the United Nations Special Rapporteur on the Human Right to Safe Drinking Water and Sanitation saying that the DWSD’s actions constituted a violation of basic human rights. But, what about the companies who refuse to name the chemicals that they’re pumping into our drinking water through wastewater injection when extracting oil through fracking? We’ve covered North Carolina’s law making it a crime to disclose chemicals used in fracking; why aren’t we talking about the obvious human rights violation inherent in that? We as a nation are quick to call out and/or assist other nations when they can’t provide such essential needs as clean water for their citizens, yet we turn a blind eye to corporations or states who let corporations write their laws making it a crime to know what’s in the water we drink. Or companies that leak chemicals or coal ash into our rivers. Or companies that poison our coasts with oil spills. Occupy World Writes is horrified by what’s happening in Detroit, and call on the Detroit City Council and the state of Michigan to follow the U.N. recommendation. We also call on North Carolina to immediately repeal the section of the Energy Modernization Act that criminalizes the right of citizens to know what the oil companies are contaminating their water with, and for all of the corporations involved with fracking to do the same. And, if by chance they should refuse, we call on the Department of Justice to live up to their name and prosecute these people to the full extent of the law. We need to reinforce the simple fact that profits do not trump basic human rights. People over profits. This entry was posted in Civil Rights, Economics, Fracking, Government, Income Inequality, International Agreements, Social Justice, Water and tagged Economics, Equality, Hydraulic Fracking, Income Inequality, International Agreements, Oil on June 27, 2014 by ew. Arrested in December of 2013, three AlJazeera Journalist staff members were sentenced in Egyptian courts; guilty verdicts were announced by a judge on Monday against Peter Greste, Mohamed Fahmy, both sentenced to seven years, and Baher Mohamed, sentenced to ten years. Other journalists were tried in absentia and sentenced to ten years. Previously to this sentencing, the Egyptian courts sentenced mass groups of detainees to death sentences. We do not know how these sentences would be carried out, but the atrocious visions are enough to wake a mummy from the dead. Which brings us to the focal point of why Egypt’s ability to remain as a viable, civilized country on the international stage must now be questioned. Since Carter first opened the tombs and presented the world with Egyptian antiquities, we have been fascinated. The art world came alive with renditions of film, music and stage that would tell the stories. Universities offered courses; everything Egyptian became the rage. 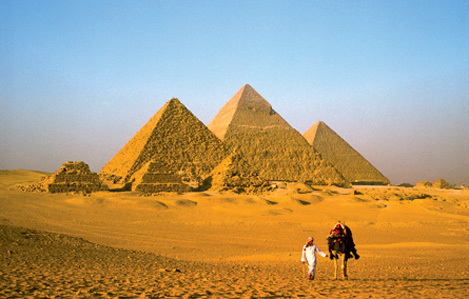 And we all starting flocking to Egypt to peer inside the great pyramid and gaze at the Sphinx. So which is it, Egypt, that you wish the world to recognize you for? Your rich and majestic past gifted you from your ancestors, or the prisons you now hold detainees whose guilt must all be questioned, based on the unjust, void of facts and draconian sentences handed down to journalists and their staff. You can not have both – the world can not and will not accept that. Choose carefully, for the eternal life of your ancestral pharaohs relies on your observance of their religious beliefs and rituals, including guarding their eternal rest. Occupy World Writes calls on the international community to shame Egypt for the sentencing of Al jazeera staff to jail terms. We ask for boycotts of tourism, Egyptian products, doing business with Egyptian linked companies, and the closure of any national museums displaying Egyptian antiquities until such displays can be closed and dismantled. If this can not be done, we call on individuals to boycott those displays. We further call on all governments allowing the detention of any journalist within their borders to immediately free those journalists and offer them a humble apology. This entry was posted in Government, Media Issues, Social Justice, Solidarity and tagged Al Jazeera, Atrocities, Epypt, pyramids on June 26, 2014 by MNgranny. Canada’s Choice: Pipelines or Children? 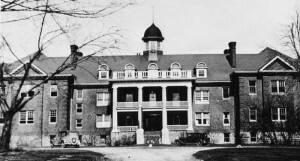 Photograph of the Mohawk Institute Indian Residential School in Brantford, Ontario, Canada in 1932. Photo by Public domain via Wikimedia Commons. On June 18, we covered “The Real Battle Begins”, as Enbridge attempts to find passage of the permit process to build yet another pipeline across Canada’s pristine wilderness. One of the most noteworthy parts of this story is that Enbridge must make agreements with and concessions to Canada’s First Nation People, the native Canadians whose ancestors inhabited the land long before the arrival of European settlers. There is a story here that few know, and which even more would like to see covered up forever. But what Occupy World Writes sees is an opportunity for both Canada and the First Nations People to reach a point of understanding and a path forward to be revealed. What are we talking about? The documented evidence of mass graves of innocent children being concealed – not just 100 years ago, but as recent as 40 years ago. 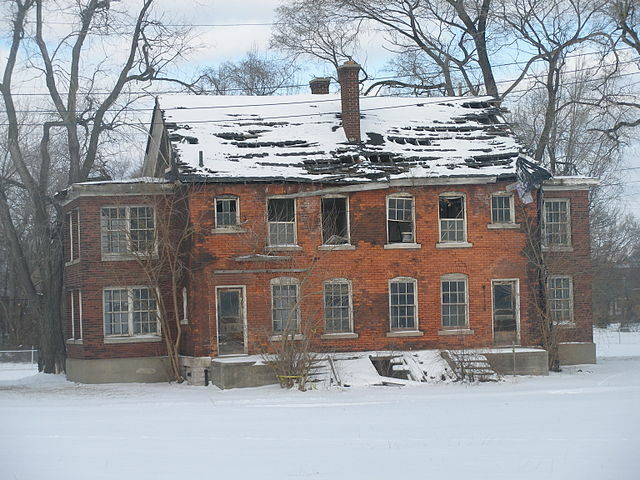 In late 2011, the oldest Indian residential school in Canada was turned back over to the Grand River Mohawk Nation, located near Brantford, Ontario. Children’s bones had been discovered on the school’s property in 1982 and again in 2008, but no one seemed too concerned about how or why the bones were there. 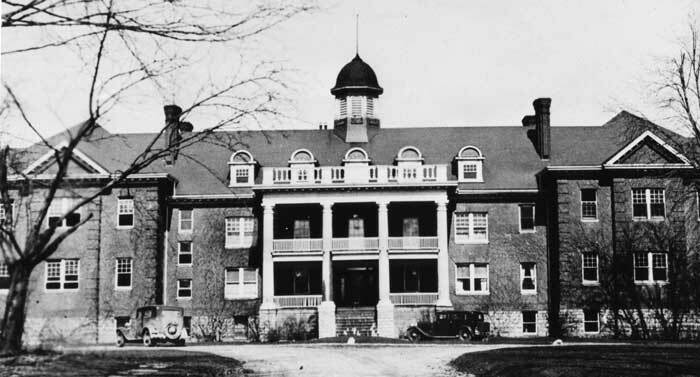 The Mohawk Institute was established in 1828 and was functioning up until the early 1970’s. During that time, the school experienced 3 fires that forced rebuilding. 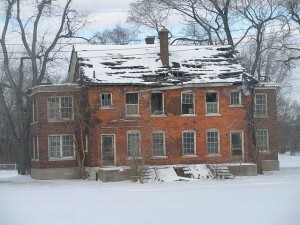 The original site of the building was moved following one of the fires, but the section of land that the Mohawk Institute occupies has always been inhabited by native peoples. The Canadian government made education of native children compulsory in 1894, bringing the school even more victims. When the Mohawk Nation invited scientists and professional investigators to the site to excavate in 2011, they were shocked and horrified to discover the remains of children who had died while enrolled as residents at the school. Between eye witness accounts, forensic evidence and recorded documents, there is clear evidence that the Canadian government, in alliance with the Crown of England and the Vatican, conspired with the Anglican Church of England to cover up the murder and genocide of over 50,000 of these native children across Canada. There are those who, even to this day, will go to extremes to prevent this secret from seeing the light of day. The scientific teams have been threatened with violence, the excavation has been sabotaged at various stages and the government continues to attempt to thwart any attempts to learn truth. Occupy World Writes believes that the investigation into the Mohawk Institute and all similar schools throughout Canada should be included in the conditions that must be met before passage allowing the latest pipeline can be built. Although we recognize the two are totally unrelated, what makes this crucial is that the disrespect and broken promises to the First Nations People that are consistent within the government are also present within Enbridge. These two bodies need to work together to come up with solutions and end the mistreatment of an honorable and majestic people. This entry was posted in Civil Rights, Energy, Government, Human Spirit, Social Justice, Solidarity and tagged Atrocities, Canada, Education, Enbridge, Energy on June 25, 2014 by MNgranny. Every once in a while, I come across some legal action so stupid and asinine that I just have to wonder what planet these people who are making complaints and/or enforcing some laws are from, and maybe more importantly, how soon can they go back there. Leawood said the library was an accessory structure. The city bans any buildings not attached to the house. Richard Coleman of the City of Leawood says: “We empathize with them, but we still have to follow the rules. We need to treat everybody the same. 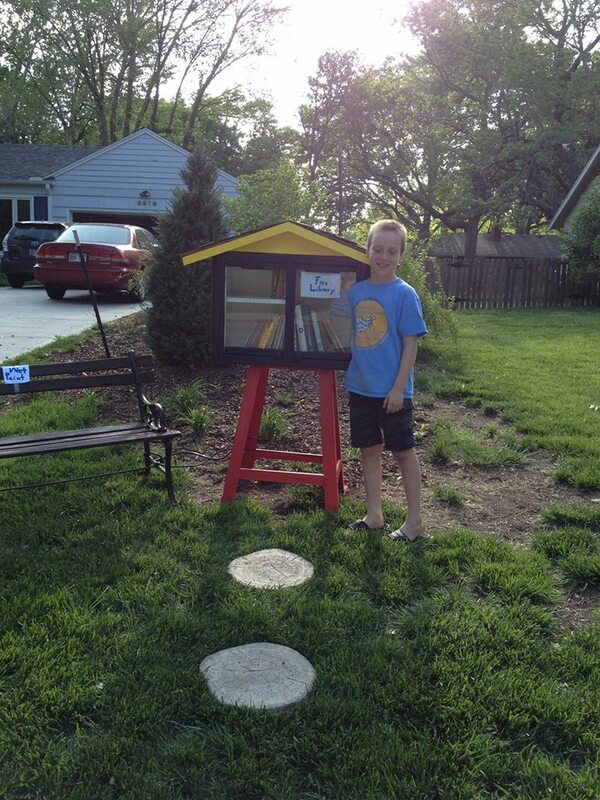 So we can’t say if somebody files a complaint but we like the little libraries — we think they’re cute — so we ignore it. We can’t do that.” The city further claims they had two complaints about the library. If the Collins house was three blocks to the north, this wouldn’t be a problem. He would then live in Prairie Village, where the city doesn’t enforce codes that would restrict little free libraries. This entry was posted in Civil Rights, Government, Social Justice and tagged Education, Social Media on June 24, 2014 by ew. The U.S. Conference of Mayors’ summer meeting got underway on Friday, June 20. The winter meeting’s always held in Washington, and the summer meeting’s held in a different city each year. This year, it was in Dallas. Earlier in the week at the annual meeting of the Great Lakes & St. Lawrence Cities Initiative in Thunder Bay, Ontario, climate change was a big part of the agenda as well. More than 100 mayors from Canada and the U.S came to the meeting and discussed both climate change and the increasing dangers their cities face from oil transportation. Occupy World Writes applauds these mayors and their willingness to address these problems. If we can’t get anything done addressing these issues on the national and state levels, we must be willing and able to tackle them on a local level. Our survival depends on us doing so. This entry was posted in Climate Change & Environmental Issues, Economics, Energy, Government, International Agreements, Water and tagged Canada, Economics, Energy, Environment, International Agreements, Oil, Pipeline on June 23, 2014 by ew. 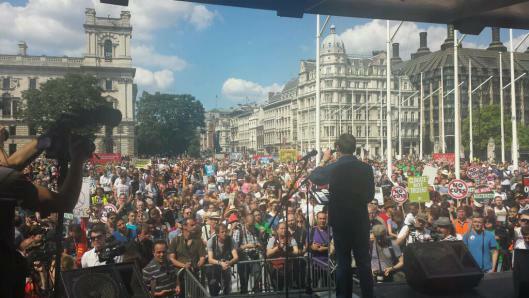 Yesterday, an estimated 50,000 people marched through London in protest against austerity measures introduced by the coalition government. 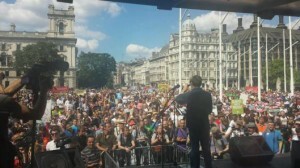 Held on the one year anniversary of the forming of the People’s Assembly, the march started from the BBC’s New Broadcasting House in central London, and ended in Westminister at the Houses of Parliament. So, with this huge march starting at the BBC’s front door and going through the middle of London being obvious news, what did the BBC report about it? Absolutely nothing; it seems that they thought identifying a Scotsman at the World Cup who cheered Uruguay’s game winning goal against the British was more newsworthy. The media by and large are not our friends. It’s owned by the same people who want to slash vital services and social programs for the 99% in the name of “fiscal responsibility”, while at the same time giving themselves massive tax breaks and subsidies that we end up paying for. It’s up to us to use social media, sites like this and word of mouth to spread the news that the media refuses to cover. UPDATE: Evidently the BBC did cover it; there was a three sentence story buried away in the London news. This entry was posted in Demonstrations & Protests, Economics, Government, Human Spirit, Income Inequality, Media Issues, Social Justice, Solidarity and tagged Economics, Income Inequality, Protests on June 22, 2014 by ew. When I read about some group appealing to the United Nations to correct a human rights violation, my natural tendency is to think that it’s about something happening in some other country than the U.S. But, a story that appeared yesterday taught me once again not to make assumptions. On June 18, a coalition of activists filed a report with the UN’s Special Rapporteur on the Human Right to Safe Drinking Water and Sanitation claiming that the Detroit City Council’s latest 8.9% hike in water and sewage rates in a city where more than 80,000 households are behind on their water bills constitutes “a violation of basic human rights,” and alleges that the shutting off of service to 7,000 households in the last two months is part of an effort “to sweeten the pot for a private investor” to take over the water and sewer system as part of Detriot’s bankruptcy proceedings. While fewer than 11,000 of the 165,000 delinquent accounts are commercial or industrial clients, those accounts average more than $7,700 apiece in delinquent payments, compared to the $800 average for a residential account. This entry was posted in Banking & Lending Issues, Civil Rights, Economics, Government, Income Inequality, Privatization, Social Justice, Water and tagged Capitalism, Economics, Income Inequality, Water on June 21, 2014 by ew.